The thing about buying or owning a house is that often it is the problems which cannot easily be seen that can usually become the most problematic. 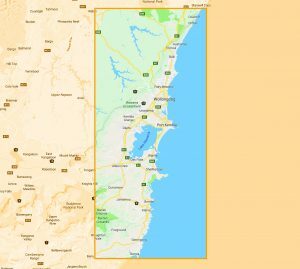 With over 300 species of termites in Australia, we have our fair share of critters that can cause damage to your property, with 30 of these species being one of the biggest concerns for property owners causing large amounts of damage to homes and business’ especially in coastal areas like Wollongong. When dealing with termites you not only need to act quickly, you also need an expert who knows what they are doing as the speed at which an infestation can take place is devastating. A highly trained expert will be able to inspect and perform treatments that will quickly identify, eradicate or defend against an infestation providing protection to your home, business and most importantly your family. At ARK Pest Management we use the latest high-quality treatment solutions and technologies available, with a passion to be the best in the Illawarra at what we do, so you can feel confident that your assets are protected. We’re confident that you will agree when you experience the ARK service that we are the best choice when it comes to termite management. Termites are highly social, wood-eating insects often called “white ants” however, are not actually related to the ant family. They belong to the order Isoptera which is more closely related to the cockroach although are a highly adapted version. Termites may be very varied in colour, size and even shape with some being almost white in colour to others being dark brown. Most however, have a pale brown to white body with a darker head. There is no separation or waist between their thorax and abdomen and they have a very thin skin which causes them to be vulnerable to drying out. Due to this, they tend to enjoy humid or damp environments such as underneath houses that may have poorly ventilated sub-floor. 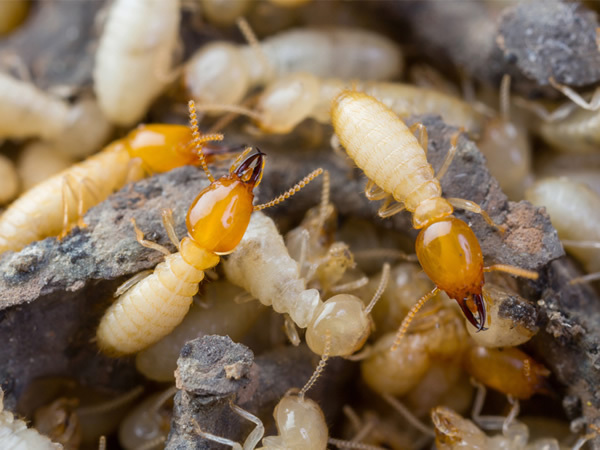 Termites, due to their social nature build large nests where their colonies can house several million insects with many different castes (jobs) within each colony. Casts are responsible for different jobs within each colony, all being an integral part of the nest’s infrastructure. Workers; responsible for food gathering, tending to the young and queen and maintaining the nest and tunnels. Usually lighter or white in colour due to their thin skin which is prone to drying out, they are blind without wings and do not usually leave the confines of wooden structures and nest. Soldiers; The defenders of the colony are usually slightly larger in size than the workers however they have darker heads and large biting mandibles or long noses. Reproductives or “Alates” are responsible for future colonies, becoming kings and queens of future nests, undertaking colonising flights ensuring the future colonies survival. Much darker in colour than other casts, they have more durable bodies to allow them to leave the nest without quickly drying out. Mature adult Alates have two pairs of equal-sized wings allowing them to scout new territory easily. They drop these wings before making a small mating chamber in a new location to start a new colony. 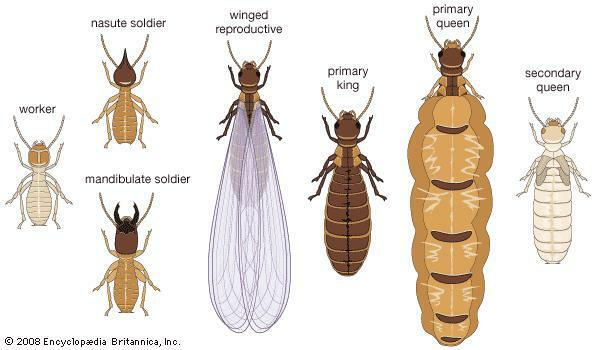 Where do Termites usually make their homes? Tree nests connected to an internal cavity within the tree and can be present in your home within the walls, skirting, architraves or pillars. Can termite inspections be done prior to purchasing a property? Yes, a pre-purchase pest inspection report is available and advised when looking to purchase a property. The inspection will need to be arranged with the real estate agent before auction/ sale and a comprehensive inspection report with all findings and recommendations will be mailed or emailed to you. This is a very wise decision to make as it could literally save you thousands and the heartache of finding your new investment. How soon after treatment can I have the damaged timbers replaced? It is usually best to wait until full eradication of the termite nest is confirmed by the treating technician. This can in some cases not be recommended to disturb timbers for up to 6 months. Your technician will be able to advise what will be best in your properties situation. How often should my property be inspected for termites? Will we need to have multiple treatments? In some cases where the nest can be located with absolute certainty it may only take one treatment to eradicate the entire colony. However, a technician will need to re inspect and if termite activity is still found more treatments will be required until eradication has been confirmed. Are the chemicals used safe for children and animals? Yes, the chemicals that we use at ARK Pest in termite eradication are very safe due to the systems that we use and the professional manner in which our technicians administer treatments. Do I need to leave the property during or after a termite treatment? 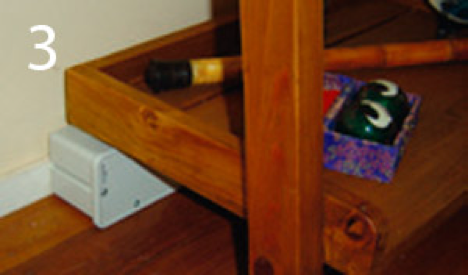 No, you will not need to leave the property with the systems we use at ARK Pest Management. How long does a termite treatment take? A termite treatment has no set time as each property will require individual treatment solutions dependant on size of the infestation and property however will be split into 2 phases. The first phase -Colony eradication treatment: will take 2-3 hours depending on the requirements of your property where we will first treat the colony with a chemical, dust or foam treatment and then tailor a system to deter and help prevent future infestations. 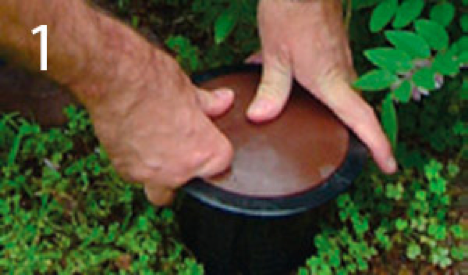 The second phase- Baiting and termite interception: Most properties will need a baiting system to intercept any termites foraging for new possible food sources, like your home. The whole process of eradication can take up to 6 weeks in places with a very. Usually it will cost between $195 and $250 per property for comprehensive termite inspection and report to be performed. What do I do if I see termites at my property? It is important not to disturb any insects that you suspect to be termites, do not spray with any insecticides or remove affected timbers as this will not control. How can I tell if my property has termites? Often there is very little visible evidence showing the presence of termites. Termites eat timber cellulose and wood timbers from the inside out causing little to no visible damage externally even though the structure of the timber can be completely compromised. 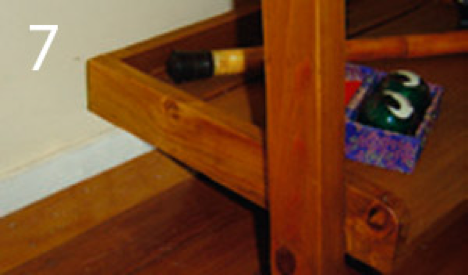 You may notice wrinkled looking skirting boards or door frames or even find a floor board weakened and brittle. It is important to have a qualified and accredited pest technician like those at ARK Pest Management to perform a thorough inspection to assess if termites are present and provide a full report and solutions for any infestation that may be present. Is there a difference between termites and white ants? “White ant” is just a common colloquial term for Termite. There is no difference between the two. 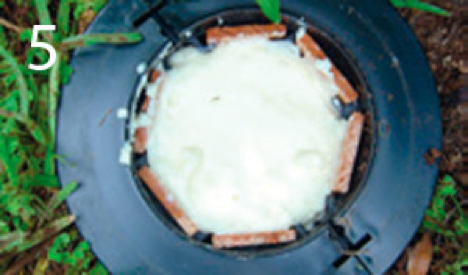 Chemical Aggregation systems use liquid termicides to create a replenishable termite barrier around your property. 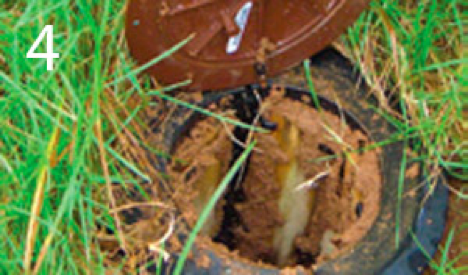 This option is a good option to prevent foraging termites from gaining concealed access to your home or business and will require some drilling, then the holes are injected with liquid termiticide which can last up to 10 years dependant on soil conditions and climate. It is most effective when teamed with yearly termite inspections ensuring that your property has the best protection possible. We use the Exterra system to detect, prevent and treat termites as part of our many solutions offered in protecting your property from termite infestation. This is our premium offering when it comes to termite protection and treatment being the safest and eco-friendly option with a guarantee on efficacy. This system is designed to work with existing homes and business’ without having to cut out large trenches or use toxic chemicals. It works to attract termites which then take the bait (which is less toxic than table salt to humans) back to the colony where the colony then begins to die off until they are completely eradicated. 3. …and inside your home FOR QUICK RESULTS. 5. …and now the REQUIEM Termite Bait goes to work. 6. Termites can’t resist REQUIEM, leading to the colony’s quick demise. 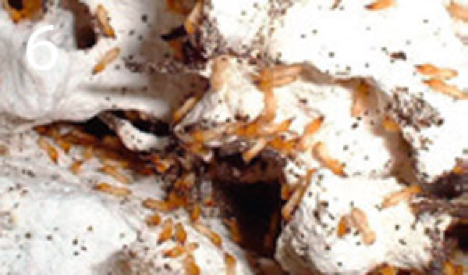 The termites feed on the REQUIEM and take it back to the colony where it is fed slowly throughout the entire colony. Since the termites die gradually, they do not associate the colony’s demise with the consumption of REQUIEM. This ensures that the entire colony is eliminated. Any remaining REQUIEM is removed. 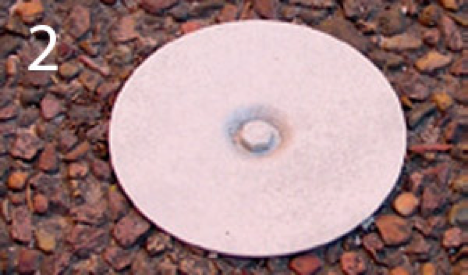 Fresh timber interceptors are placed in the In-ground Stations, and the Above-ground Stations are removed. To protect you against the constant threat from new termite colonies or other established colonies, the EXTERRA System works on an ongoing process of ‘Peace of Mind’ monitoring, baiting and eliminating.